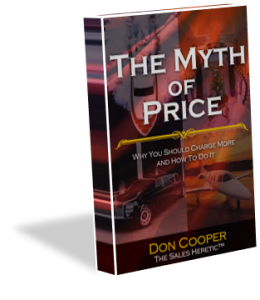 The sale doesn’t typically go to the best product or service, the biggest brand name or the lowest price. 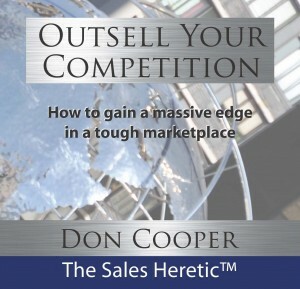 It typically goes to the best salesperson. And that person can be you. Available as three audio CD’s—ideal for listening in your car—or as three DVD’s with a bonus disc containing handouts and a leader’s guide—perfect for training a small team! Stop throwing your profits away! 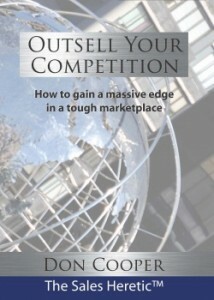 You can make a lot more money by simply discounting less and charging more. Don’t think you can? Just wait—immediately after this revealing program you’ll be raising your prices and reaping the rewards. 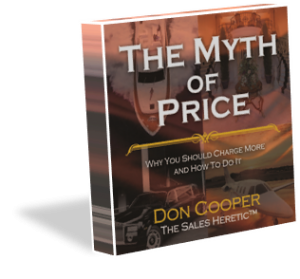 Whether you’re new to sales or a seasoned veteran, you’ll pick up practical insights and tactics you’ll be able to use immediately.